Sligo is a form of lively folk music which takes its name from the county and town of Sligo on the west coast of Ireland. 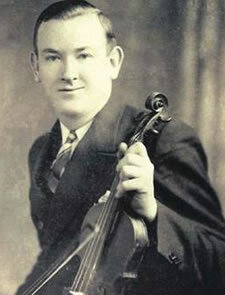 Paddy Killoran, one of the biggest names in Sligo, was born there in 1904. He emigrated to the United States in the 1920’s and embarked upon a prolific recording and performing career. “Sligo Maid’s Lament” was one of his popular 78 RPM sides. Sligo music is alive and well today, and if you like it as much as we do, have a look at sligomusic.ie for more info on the history of Sligo, and about contemporary and early Sligo artists.